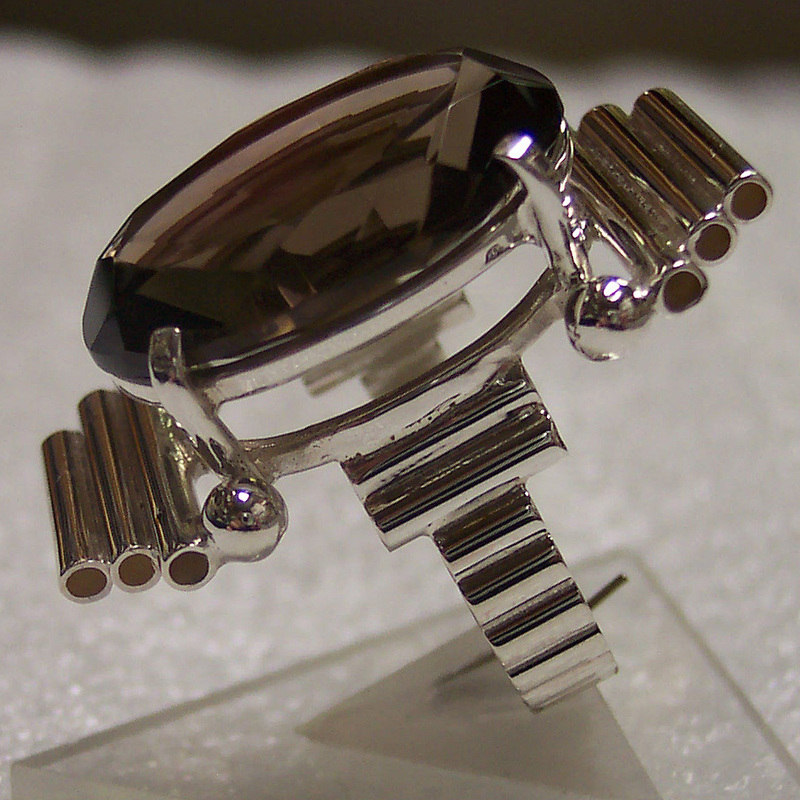 Designer Jewelry - This is a beautifully handcrafted sterling silver statement ring with a touch of design of silver tubes that frame a large exquisite oval cut brown Smoky Topaz Quartz gemstone (25mm x 18mm). This unusual shank is created from silver tubes as well. 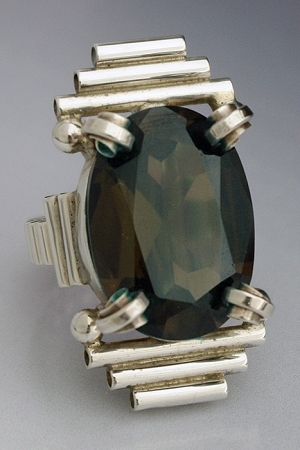 Handcrafted Sterling Silver Ring with an oval faceted Natural Smoky Topaz. 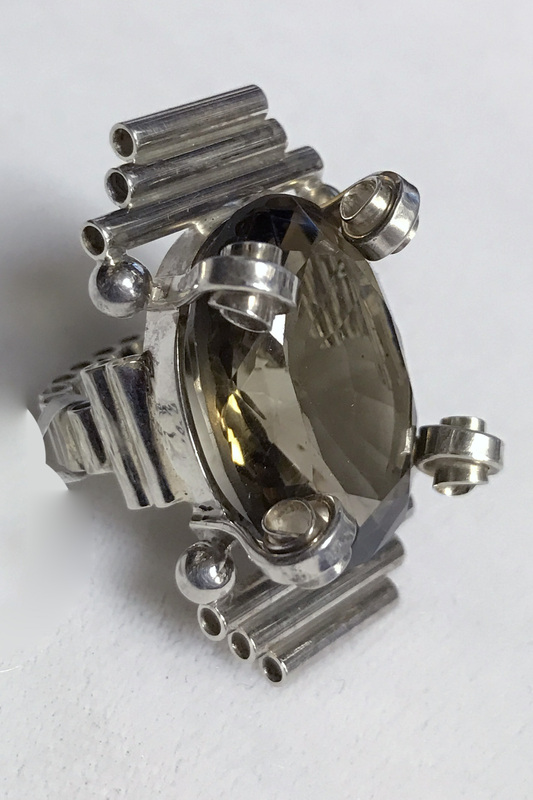 This fun ring fits very well on your finger and size is never a problem since it is custom made for you - a perfect compliment to our Smoky Topaz necklaces. This ring is a work of art and is signed by Aaron.